Product Information : This award winning cultivar is a staple in hosta gardens nationwide. 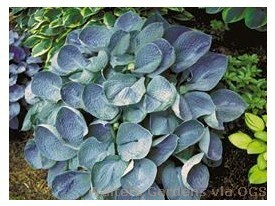 Intense blue, thick, puckered, and deeply cupped leaves distinguish it from other blues. White, trumpet-shaped flowers.